A 911 call for help ended under bizarre circumstances, as the man who summoned help acted aggressively toward responding officers and was shot as a result. The call came into Plant City, Florida police around 5 a.m. on July 6, 2017, according to the Tampa Bay Times. The driver of a car claimed that someone had been following him for two hours, and authorities attempted to locate the caller in and around Hillsborough County. Then, an officer in a marked police car encountered a speeding Nissan Altima that tried to run him off the road. The Nissan crashed into a ditch and the driver got out, seemingly searching for something in the back seat of the car. Authorities, believing that their lives were in danger, shot the driver. Even before the shooting, Florida aggravated assault charges would apply. This crime is relatively complicated, as different facts elevate a crime from assault to an aggravated offense. Generally, assault is the intentional and unlawful threat of violence against another person, along with the ability to make good on the threat. A prosecuting attorney must also prove that the victim experienced a genuine, reasonable fear that harm would result from the threat. The threat incorporates a deadly weapon, which is some tool that used in a way likely to produce death or great bodily harm. A firearm, knife, blunt object – or even a vehicle – could be considered a deadly weapon. Is presented during the commission of a felony, generating a reasonable fear that violence is imminent. In addition, Florida law includes harsher penalties for the crime of assault if the victim is a public servant, such as an emergency medical technical or firefighter – or, as in the case of the driver who attempted to run the policeman off the road, law enforcement officers. As a third degree felony, an aggravated assault conviction carries penalties of up to five years’ incarceration and/or on probation, plus a maximum fine up to $5,000. When the victim is a public safety official, the crime is reclassified to a second degree felony with harsher penalties: The judge must, under Florida’s laws on mandatory minimums, sentence you to at least three years in prison. 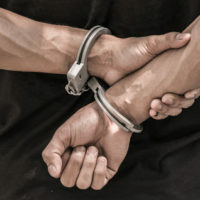 Aggravated assault is a unique offense, in that you are ineligible for records sealing or having your criminal record expunged. Even a first time offender will have a permanent mark on his or her record. Simple assault is already a serious crime; in the presence of aggravating circumstances, you could be looking at extremely harsh penalties. Jail time, fines, and a permanent criminal record – without the possibility of expungement – may apply. You avoid or reduce the impact of an aggravated assault conviction when you have an experienced lawyer to present all available defenses. For more information on aggravated assault crimes, please contact the Fort Lauderdale offices of criminal defense attorney Kevin J. Kulik. We can schedule a consultation to discuss your case and review options to fight the charges.